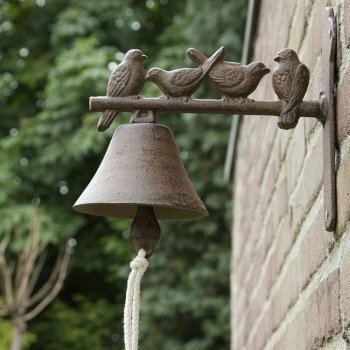 This bird bell from Ruddick Garden Gifts is made from cast iron and has a rope bell pull. There are four small cast iron birds sitting on top of the bell. This would be great outside your front door to let you know when visitors arrive or outside your back garden. It really is a quirky little doorbell.